Be Rapture-Ready for May 21, 2011! 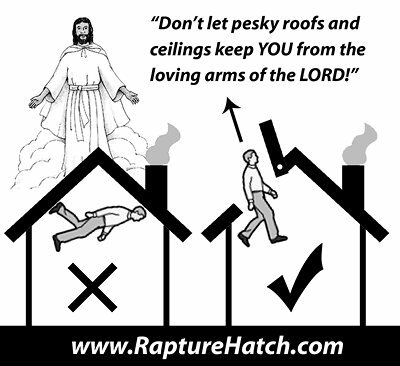 Prepare for May 21st and be Rapture Ready with the Online Discernmentalist Mafia’s handy new RaptureHatch for the roofs of True Churches and the homes of True Regenerate Converts. Doomsday is soon approaching… Don’t get Left Behind with the unregenerate non-Elect heathens… Let John MacArthur confirm you in our Pure Truth War Doctrines and prove that you are indeed Rapture Ready and we’ll install a RaptureHatch on your roof today! This site (an Online Discernmentalist Mafia partner site) reveals the most complete written, audio, and video Bible teachings which conclusively prove May 21, 2011 to be Judgment Day and The Rapture, and October 21, 2011 to be the end of the world. It is most urgent to examine yourself, whether you are of the Regenerate Elect and therefore are saved. P. S. Bible Monkey before you joined us in our Truth War ways we meant this for you—but I guess now we need your help in sending this out to Eugene Peterson. His Message is one of apes and monkeys and New Age Spirituality. Foolish Emergents, athiests, liberal scientists and ignorant Arminians will believe just about anything since they believe Satan and Man are sovereign instead of our loving Lord of Absolute Wrath, the Truth War and Holy Terrorism. Why they even believe in such Satanic and foolish man-made and man-exalting pseudo-scientific theories such as gravity and plate tectonics! Utter hogwash cooked up by a bunch of crackpots! 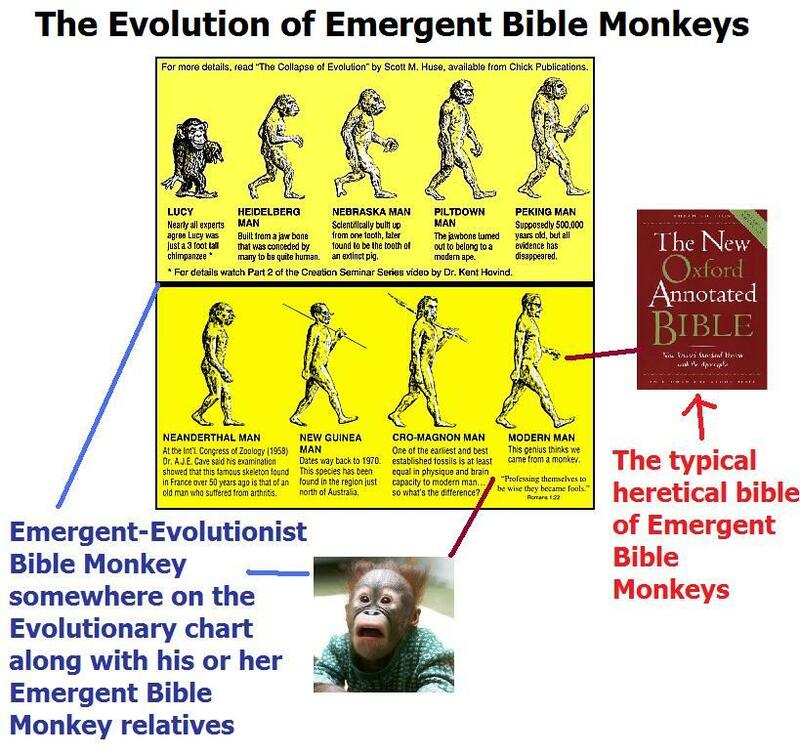 P. S. The Truth War against you is still on, Emergent-Evolutionist Bible Monkey! You are currently browsing the archives for the ODM Science category.